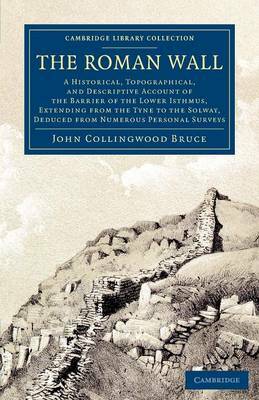 Brought up in Newcastle-upon-Tyne, John Collingwood Bruce (1805-92) was fascinated by the antiquities of the north of England, and made an especial study of the impressive ruins of the 'Roman Wall'. He published this work in 1851, using both the writings of medieval and recent historians, and his own and others' field surveys and excavations. It describes the route of the wall from the Solway to Wallsend, and the surviving structures such as forts and milecastles along its length. Bruce also discusses and illustrates the Roman artefacts discovered around the wall, from pottery and nails to funerary monuments, which give insights into the lives of the soldiers from across the Roman empire who were stationed at this northern outpost. His argument that Hadrian was the builder of the wall reminds us that, until the mid-nineteenth century, it was thought to have been the idea of the later emperor Septimius Severus.